What characterizes the top ten (“Stronger Credit Rating”) states, compared to the bottom ten (“Stronger Taxpayer Burden”) states? There is at least one dramatic difference between these two groups. The states with “Stronger Credit Ratings” have very high OPEB (retiree health care) debt per taxpayer, compared to the “Stronger Taxpayer Burden” states. Those “Stronger Credit Rating” states also have higher pension debt per taxpayer, but the difference between the two groups isn’t nearly as dramatic as the difference for OPEB debt per taxpayer. There are some interesting possible explanations here, among them questions whether OPEB debts have been adequately accounted for – in balance sheets, credit ratings, or bond market prices. I agree that the way OPEBs are valued is fraudulent but TIA goes on to make another point about credit ratings. The Joint Select Committee on the Solvency of Multiemployer Pension Plans held a public hearing today on an overview of the multiemployer pension system for which they released a document that provides a useful summary of present law relating to retirement plans generally and to multiemployer defined benefit plans in particular, as well as selected data relating to multiemployer defined benefit plans. Very little coverage of the hearing so far but it is becoming ever more likely that this process is setting up for a bailout after the mid-term election when Democrats get back in. And speaking of rigged government, tomorrow my free speech (and that of everyone in Union County) will be put to the test. Union County has, since I have been watching closely, been ruled by political bosses – Charlotte DeFilippo, then Jerry Green, and now Nicholas Scutari. They hand pick the freeholders who get on the ballot and dictate to them what projects get done and who gets hired. If a freeholder steps out of line he loses the line. This IS government in Union County. Yet when Bruce Paterson broached the obvious in Open Comment time the Scutari/Oatman regime shut him down. 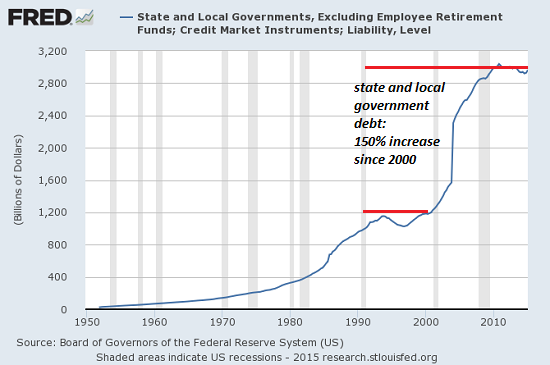 Local governments are piling up debt at such an alarming pace that this blogger called it the next crisis “nobody saw coming”. New Jersey put a cap on the amount local governments can raise by taxation so to keep their gravy trains fueled at least one local government has taken to bonding to make up the difference and nobody with any oversight capacity seems to care. State governments, accountants, rating agencies, and the media all do not want to see the crisis because that would not be to their advantage.